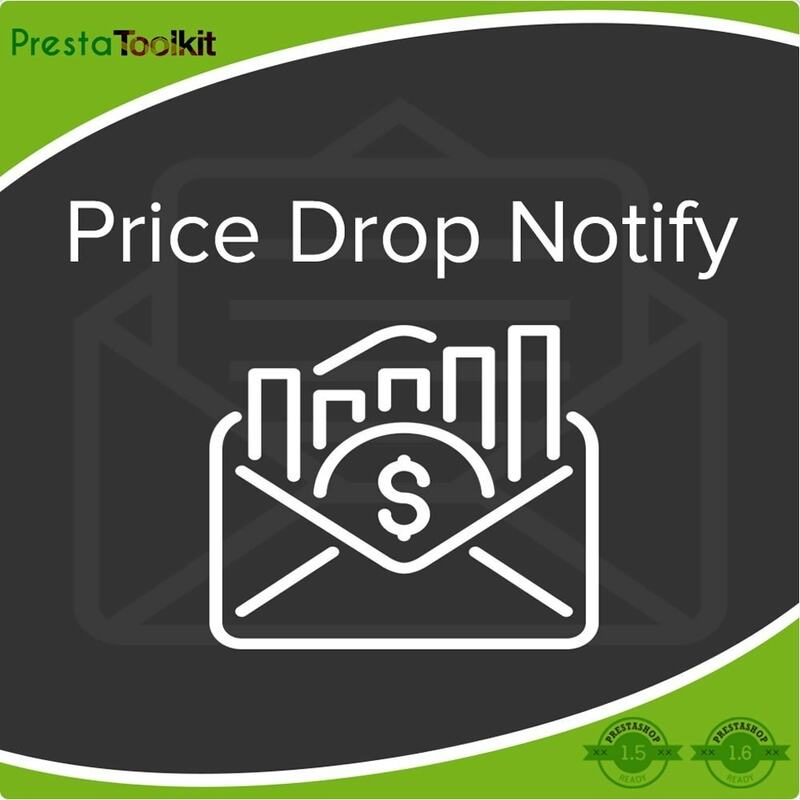 We bring you Price Drop Notify which is the most reliable tool for email marketing. 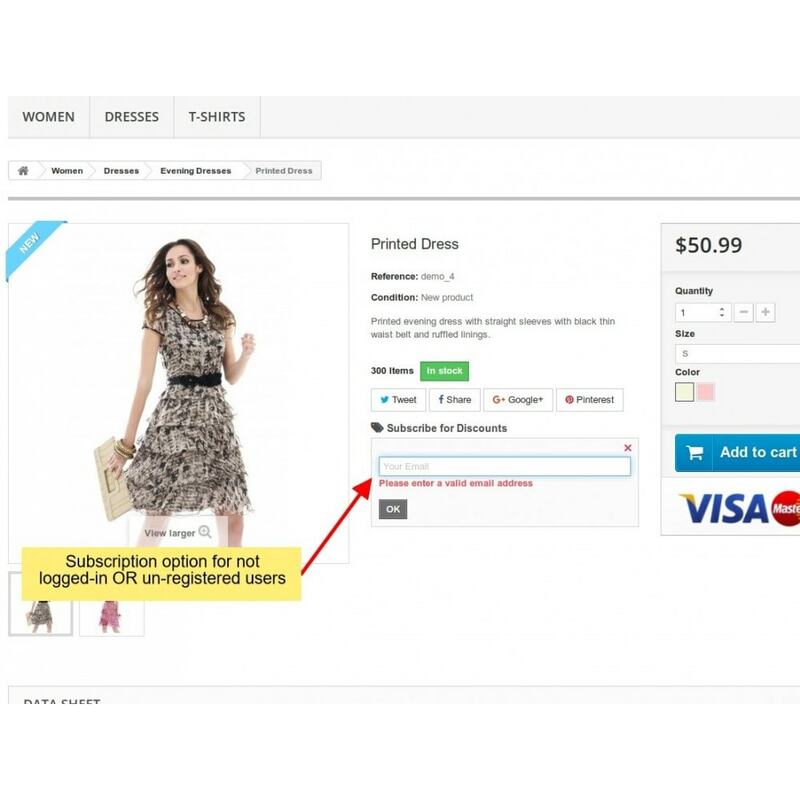 This module will keep track of registered users viewed products and for not logged-in users an option is displayed to subscribe for discounts for that product. Inspired by Ebay.com price drop notification system with stylish and luring email template. With this module keep your customers on board with latest sales and price drops. Keep improving your sales by luring customers into your store. 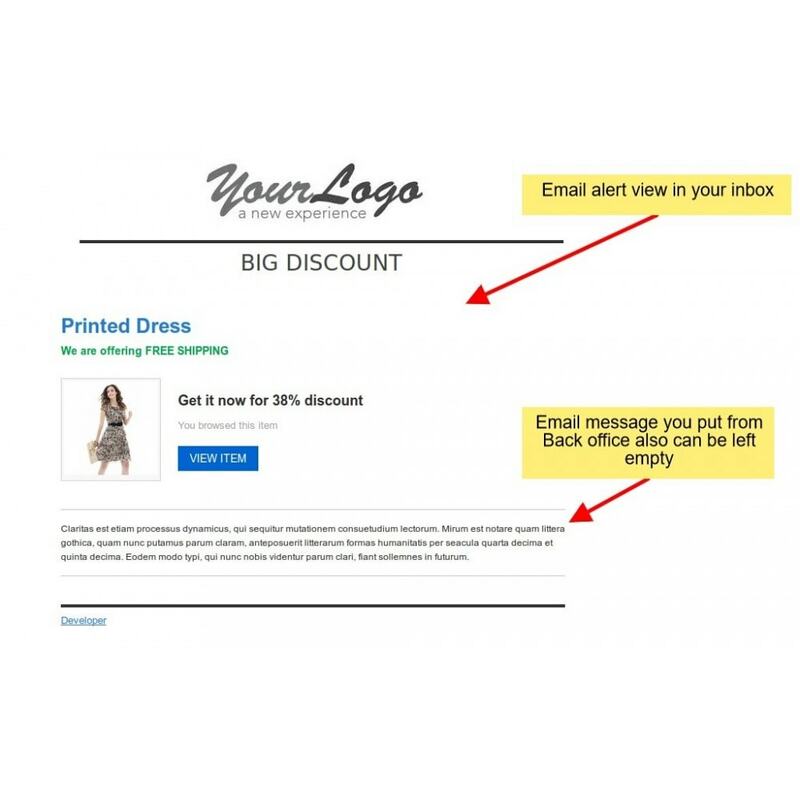 Automatic tracking of logged-in users makes it easier for you to just send an email alert once you decide to reduce the price of a certain product. Number of subscribers are shown on each product edit page in back office which is visible under Price tab. 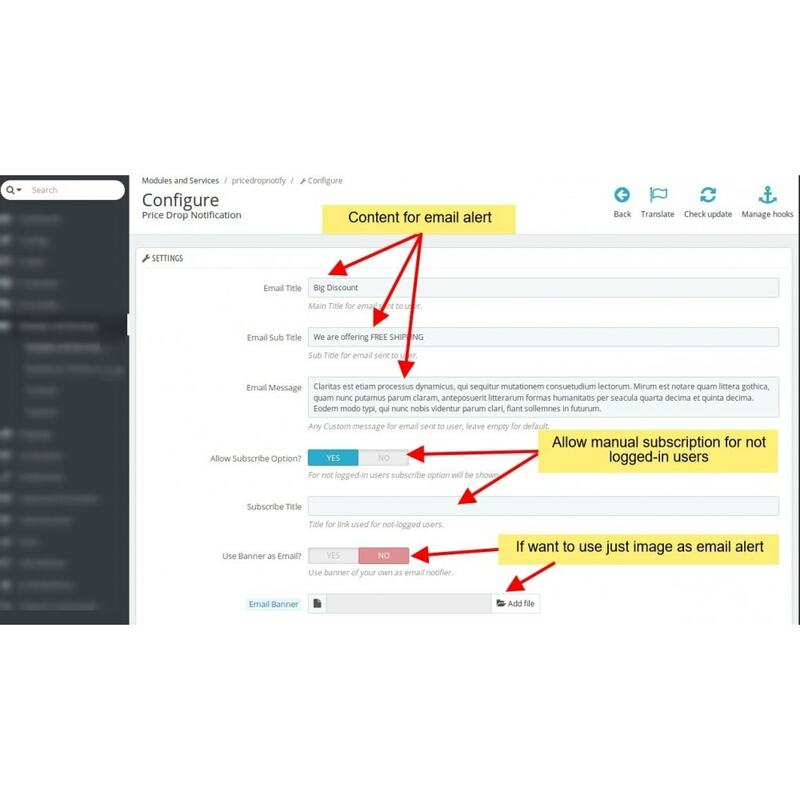 Once you decide to send email alert just check the box in Price tab which will ask you for value of discount for example 30% or 12$ this value will be sent to user in email. Manual subscription option is also available for not registered and not logged-in users so maximum number of visitors can be captured. You can also use image like banner, GIF etc as email alert sent to subscribed users. Easy to use and one click installation. 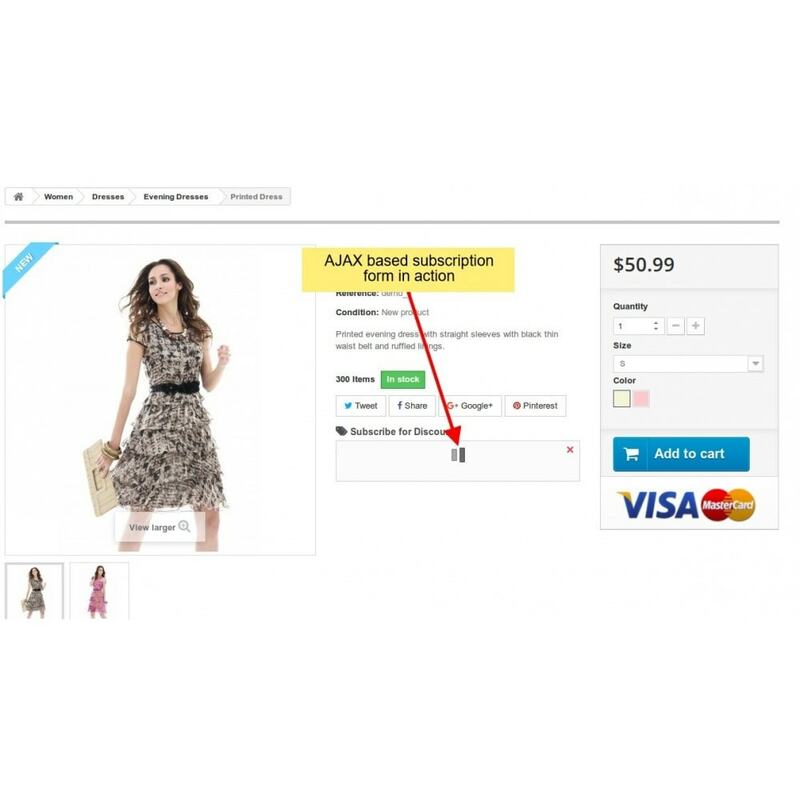 Automatic tracking of viewed products for logged-in users. 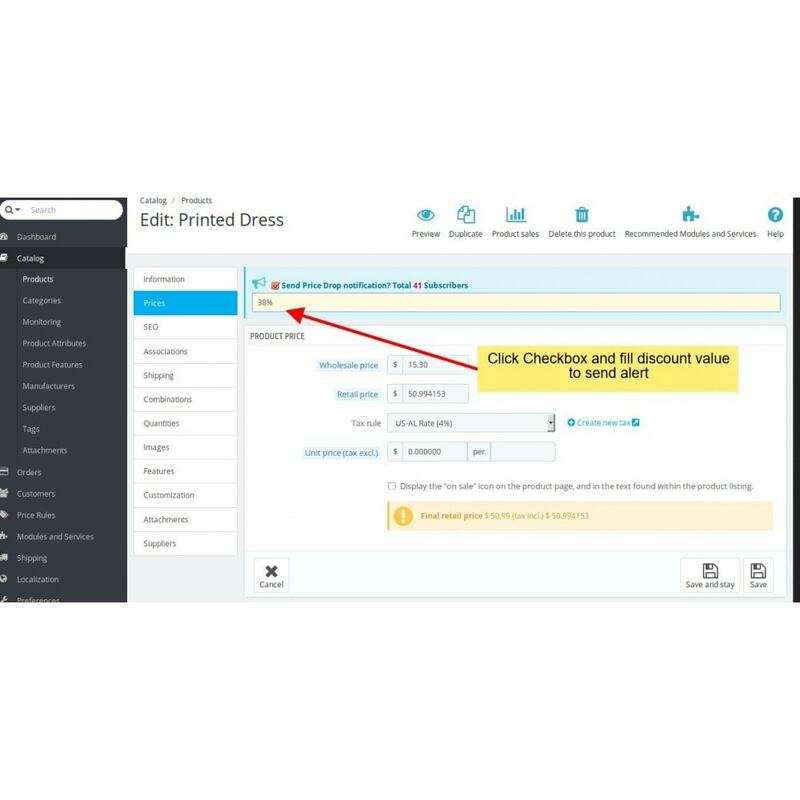 Option to allow manual product subscription in case the user is not logged-in OR doesn't have an account. Option to add title for manual subscription block on product pages. Email validation available on manual subscription block so user cannot put wrong value OR no value. AJAX base subscription form for faster and better performance. Each product has its own subscribers count in back office product edit page. 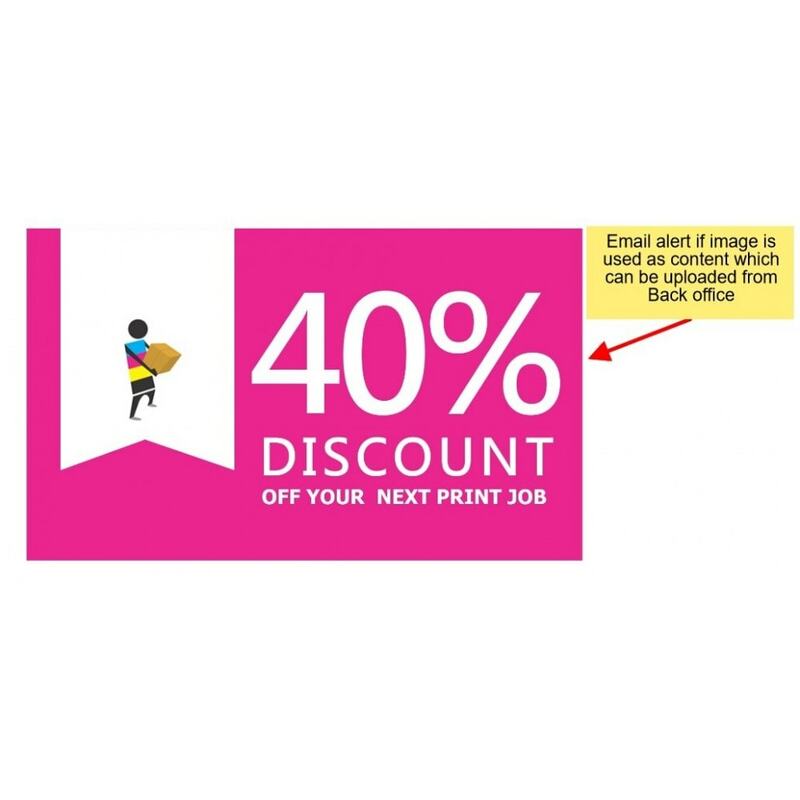 Option to send discount value in email alert which can be fixed discount like 23$, 12€ OR percentage like 55% etc. Option to upload image as email alert which can be animated GIF also. Option to send heading and sub-heading values like Free shipping, Limited time offer etc. Option to add message for email alert.